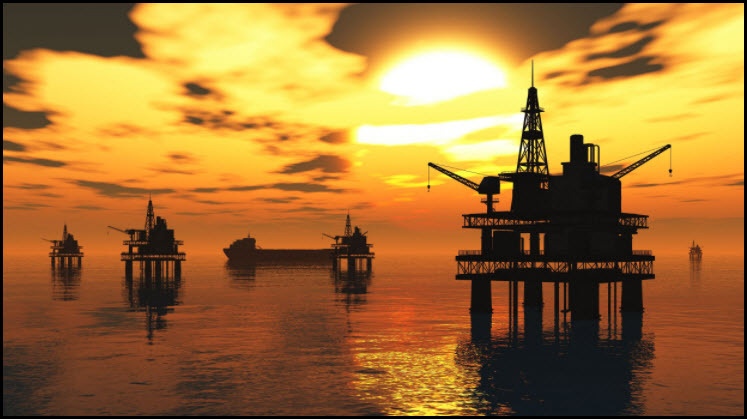 Oil & Gas Exploration stocks have been hit hard over the past few years, falling over 50%. Could an opportunity be at hand in this hard-hit sector? Possible! Below looks at the chart of Oil & Gas Exploration ETF (XOP) over the past few years. XOP has struggled this year, inside of the falling channel highlighted above. 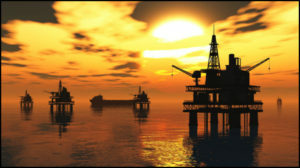 It is testing dual resistance at (1), as momentum of late was low and is attemtping to create a series of higher lows. 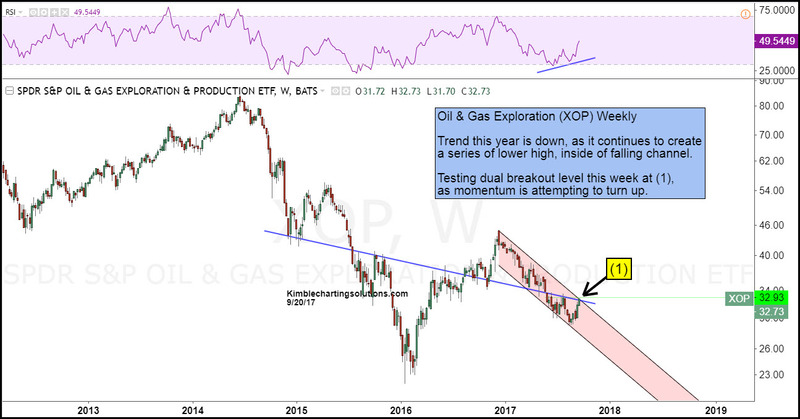 A breakout at (1), would be bullish for XOP and could attract buyers for this hard hit sector.